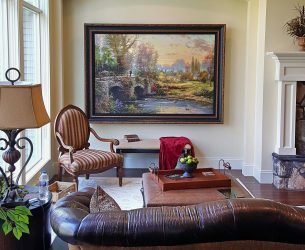 Many homeowners today have flat screen televisions in their living room and often over the fireplace, occupying a space that was once used to display artwork. When the TV is off though, you find yourself left with a large black rectangle on the wall that can distract from your beautiful décor. Well that has all changed thanks to Frame My TV who can give you the best of both worlds. Frame My TV is the leading provider of television concealment solutions that can turn your television into a beautiful work of art. With the press of button the painting raises to reveal your TV. Simply provide the make and model of your TV, select your frame, and select your favorite artwork. 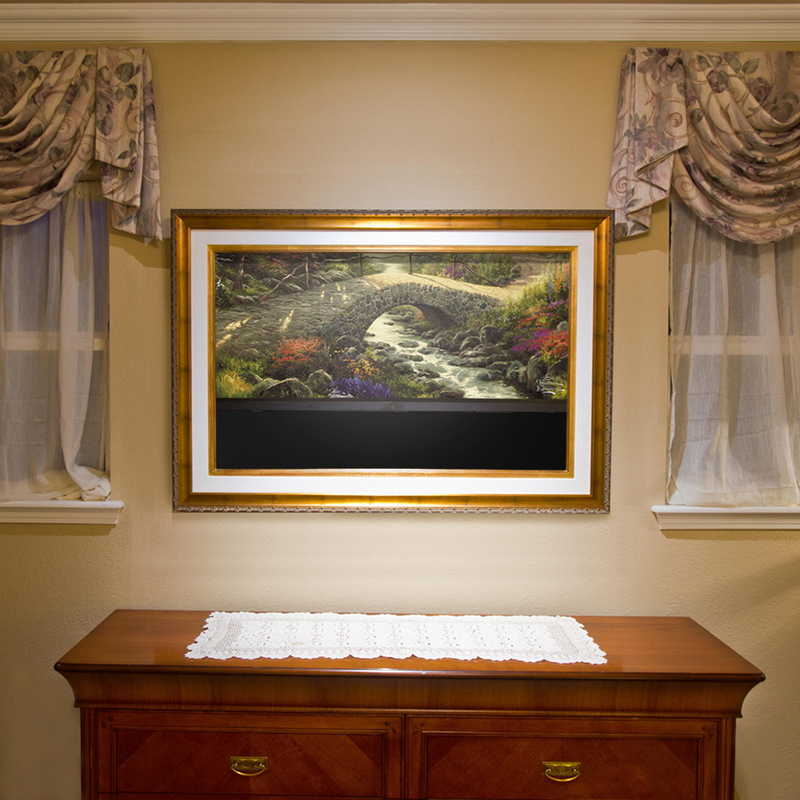 Disguise Your TV with Beautiful Kinkade Art! Frame My TV is the leading provider of television concealment solutions. They can turn your television into a beautiful work of art by displaying one of Thom’s 30 most popular works.